Windows 7 by default comes with a feature that will let you turn your PC into WiFi Router, a virtual one at that. In simple terms allowing you to be connected to two wireless networks at the same time with your PC being the access point. Microsoft MVP and developer Chris Pietschmann released a tool on Codeplex that can help you overcome the scenario I mentioned by creating a virtual WiFi network quiclky & easily, give them that password and you’ve isolated your primary WiFi network’s credentials. 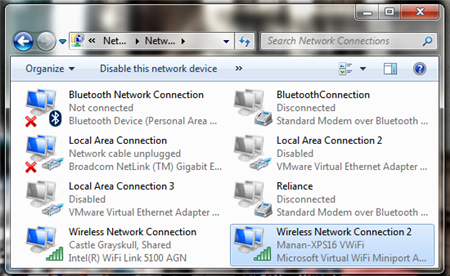 A bit of tinkering with your router settings and you can even set restrictions I guess. A couple of days ago Long Zheng found that Intel had updated it’s WLAN drivers to make use of this functionality and updating to these drivers would add a new adapter in your Network adapter list. You’ll need to download the drivers for 32bit & 64bit for this tool to work. 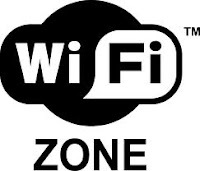 This tool harnesses this capability and makes it a simple GUI based process to setup & manage such Virtual WiFi networks.